Already tired of Smart Grid ? In a previous post, you can see the Ngram of the words “smart grid” (see next figure). It shows the rise of the “Smart Grid” concept, which appears in 2004. But unfortunately, data is only available until 2008. luckily, another tools from Google gives the trend of the use of the words “Smart Grid” from 2004 until today. Simply called “Trends“, this tool creates graph reflecting how many searches have been done for a particular term, relative to the total number of searches done on Google over time. Applied on “Smart Grid”, the resulting graph is the following. The exponential increase of the relative use of the words “Smart Grid” from 2005 is confirmed. But it stops shortly after, in 2009. Then, a small but sustained decrease took place until today. Why? The curve does not give any answer. But it shows that people lost interest in it. Smart Grid is not hype anymore. I already explained in a previous post that there is not one definition of the term “Smart Grid”, but as many as there are people trying to define it. Nobody knows what is it. Sorry, it is not correct: everybody knows it, but everybody has another understanding (it is philosophically the same. There is no “True” Smart Grid). 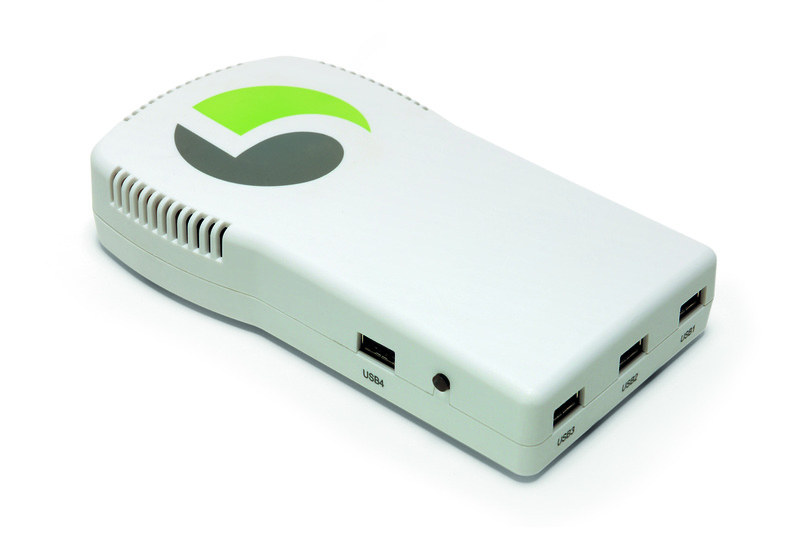 Companies are selling products labeled “Smart Grid”. To market their products, they foster their own vision of the smart grid, a narrow one, the one that better fits their interest and the promotion of their products. Being more and more exposed to this kind of misleading advertising, customers (who are not as stupid as marketers wish) slowly understand that it is not directly interesting for them to invest in this kind of Smart Grid technologies. Smart Meters is the most telling example how utilities try to convince their clients to pay for a tool they don’t need, but that the utility need, resulting in higher electricity bills. I’ve already explained this in detail in previous posts. Utilities’ “clever” idea is that customers pay at their place for investments they should make on their own. Many observers of the sector reach similar conclusions. 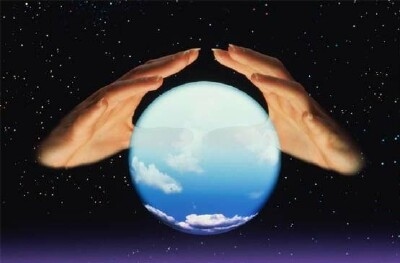 Even, if the majority remains optimistic, like in the article “Fear of Smart Grid Stall-Out“. Smart Grid market is expected to reach $80.6 billion in 2016 from $22.8 billion in 2011, according to MarketsAndMarkets. Navigant Research (previously Pike Research), meanwhile, is forecasting a growth from $33 billion annually in 2012 to $73 billion by the end of 2020. According to IDC Energy Insights, smart grid spending will reach nearly $46.4 Billion worldwide in 2015. SmartGridNews.com, at its turn, estimated world smart grid sales to $36.5 billion in 2012, a growth of 30% on 2011. These values demonstrate that opportunities in Smart Grid market are huge. But they also demonstrate, again, that nobody knows what Smart Grid means. If you look at these reports, you will discover that these companies have different definitions, which explains that not only forecast, but also past market values, are quite different from one analyst to the other. I am surprised that people referencing such analysis, in particular journalists, are not shocked by these incoherences. By Misusing the concept of Smart Grid, companies therefore risk to kill the goose that lays the golden egg. As I always explain in my posts about Smart Grid, I don’t say that Smart Grid tools are not useful, on the contrary. But I criticise the way companies and utilities are using the term and cheating customers, consciously or unintentionally. Smart Grid market will continue to enjoy two digits growth, even if we don’t know what it represents exactly. Analysts will continue to give completely different estimations and forecasts, and nobody will seem to care about this incoherence. More and more companies will use the term Smart Grid, even for products they sell already since many years, even before the concept was created. Consumer organisations, new or existing, will criticise the fact that electricity bills are every years higher. Sorry to tell it, but you will pay more for electricity. Smart Grid will be blamed, even if it is responsible for only a small share of the price increase. Consumers will be lost. Many will then understand that the Smart Grid is in fact not so smart? Then, I hope that the terms Smart Grid will slowly disappear, leaving the place to clear and understandable terms, like Information, Communication & Electricity Technologies (ICET). As explained in a previous post, I have acquired a Smart Meter and promised to keep you informed. Now that 2013 begins, it’s time to take a closer look at the stats of my electricity consumption available through my smart meter. I spare you the explanation how to import data in Excel and how to perform the calculations. The website interface proposed by my utility Mainova is not really user friendly and a lot of manual handling is necessary to import data for each day individually. The previous figure shows my average daily consumption curve. Quite a typical one for households without electric heating (my family enjoys district heating). It also shows that Mainova’s tariff policy makes sense: lower tariff during low load and higher during peak load. The tariff structure to incite clients to pay attention to their load curve is well defined. Now, as explained in a previous post, Mainova’s rates for the use of a smart meter are not appropriate for consumers (economically speaking). 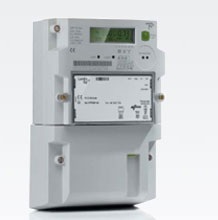 The Time of Use (ToU) tariff does not compensate the rental fee for the smart meter. For the 8 months since the smart meter is installed, I have effectively paid 3% more than the standard tariff without smart meter. Modifying behaviour to shift consumption from peak to low hours could reduce the losses to 1%, but no wins. So I stay on my position not to bother my family with drastic changes (for instance, to eat before 6 PM or after 9 PM to avoid peak hours), unless Mainova modifies its tariff policy. If consumption habits remain the same, the client pays the same price (with or without smart meter). If the client pays attention to his load curve and shifts some loads from peak to low hours, he pays less and utility’s peak load is accordingly reduced. If the client consumes less (for instance by investing in energy efficiency devices), he pays less and utility’s production is accordingly reduced (like for any tariff structure). @Mainova’s customers: do not accept a smart meter unless you are ready to pay more or to drastically change your habits. @Mainova: please, improve your tariff structure to share the wins of smart meters deployment. As explained previously, utilities benefits are known: smart meters help you to cope with deregulation and market-driven pricing, to adapt to higher renewable energy penetration rate, real-time load data, etc. @All of us: be critical when talking about smart grid, look at the pictures and make decision based on information, not on advertisement. Customers will be more and more reluctant to accept a smart meter in their home, unless utilities communicate on their smart meters strategy and objectives, share the benefits with their clients, guarantee privacy and take into account stakeholders interests. 225 kV interconnection between Mali and Ivory Coast : done ! 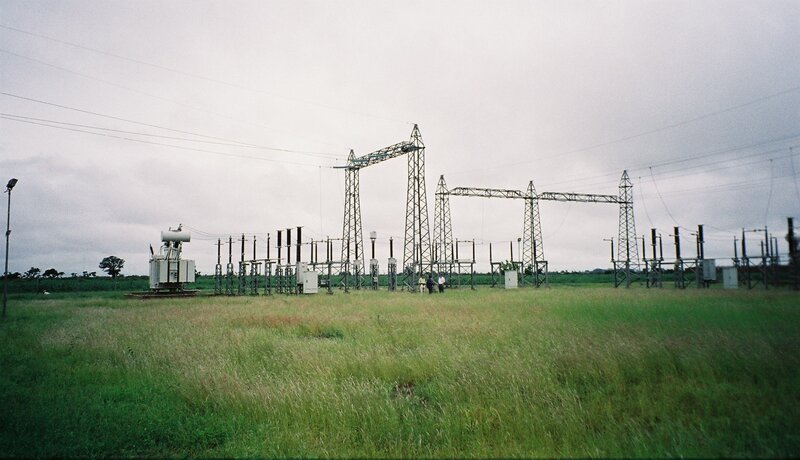 On November 11, 2012, the high voltage power systems of Mali and Ivory Coast were connected for the first time. The new 225 kV overhead lines connection between Ferkéssédougou in the North of Ivory Coast and Ségou in Mali, via Sikasso and Koutiala, was put in operation. Not only the two countries are now interconnected in a single power system, but also Senegal, Mauritania, Burkina Faso, Ghana, Togo, Benin, Nigeria and Niger. The 520 km of new lines, that costed EUR 125 mio, were indeed the missing link between the 225 kV OMVS system and the 330 kV coastal backbone network from Nigeria to Ghana. The two networks, joined together in one, now constitute one of biggest power system in Africa, stretching over 3,000 km from Mauritania to Nigeria, as promoted by the WAPP (West African Power Pool) since decades. The OMVS (Organisation pour la mise en valeur du fleuve Sénégal, in French) is the Senegal River Basin Development Authority. It was established in 1972 by the governments of Guinea, Mali, Mauritania, and Senegal. I am personally happy that the line is finally in operation. I remember my first power system planning study, back in 1997. It was precisely the feasibility study for the interconnection between Mali and Ivory Coast, performed by Lahmeyer Int. The interconnection was already defined in a regional master plan performed in the eighties. For ten years, there had been no significant progress. Finally, in 2007, I had again to revisit the study. India came to help the two countries to finance the project and the feasibility study had to be updated, again by Lahmeyer Int. The lines were then built accordingly to the detailed design prepared in the study. Now, they are online. It is always a great feeling for a planner to see that what he recommended years ago is finally built. The construction wasn’t easy, taking into account the political uncertainties and security issues in both countries. I would like to pay respect to the engineers and workers who built the line in extremely tough conditions. Building overhead lines is not especially what one understand in the term “Smart Grid”. But taking into account the lack of high voltage network in Africa, the investment is really smart. Let’s continue to interconnect countries in West Africa. 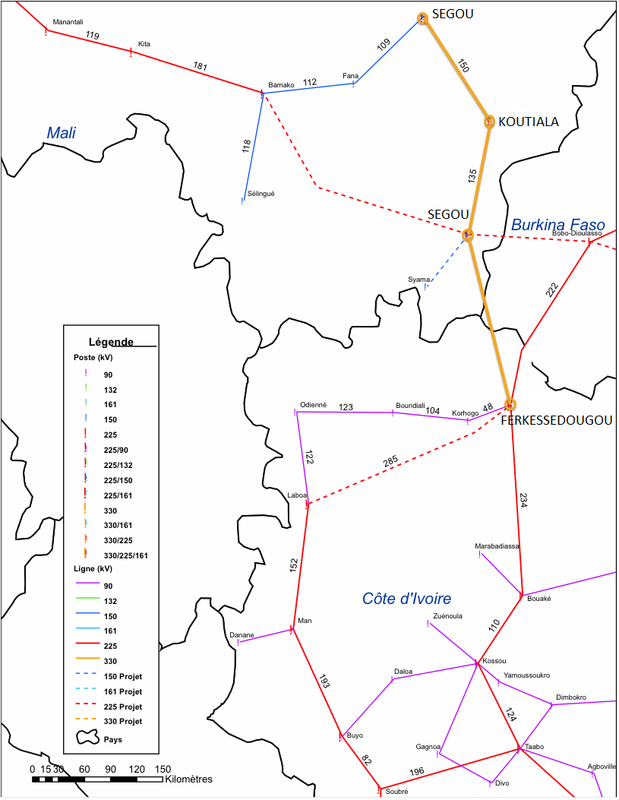 The next interconnection could be Ghana-Burkina Faso-Mali (Bolgatanga-Bobo Dioulasso-Sikasso – 600 km) or Guinea-Mali (N’Nzérékoré-Fomi-Fomi-Bamako – 920 km). The Smart Grid is dead. Long live the ICET ! Since years we didn’t succeed to properly define what the Smart Grid is. There is not agreement about its definition. I’ve started to collect some reference to illustrate here my point of view, but they are so numerous that it would be unfair to select just a few. 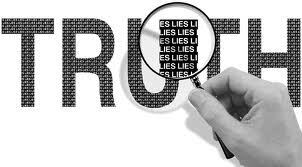 Crawl on internet, read books, articles and blogs on the subject and you will observe it from your own eyes. When a term is too difficult to define, it means that it does not correspond to something real. It is a vague concept, a dream, or a vision as I’ve personally defined in a previous post. Why should we continue to use this fuzzy concept? Just drop it! One tendency is clear in the Smart Grid nebula: the concept always includes the use of Information & Communication Technologies (ICT) in the electricity sector (as defined in Wikipedia for instance). In fact it is more than that. The right word should be integration instead of use. Let’s consider the communication system needed to allow Smart Meters to communicate with utilities’ control centres. Thank to Power Line Carriage (PLC) the same cable can be used to transmit electricity and information at the same time. If going wireless, utilities have to invest in GPRS/3G/4G (or similar technology) infrastructure, or to be a client (a big one) of a telecom Co. If Smart Meters’ full capabilities are exploited, they have to continuously communicate with utilities’ control centre, exchanging huge amount of data. The need for communication is then so high that utilities and telecom Co’s will have a strong economic interest to develop intense synergies. On the long-term, synergies will lead to merger, then forming a company delivering both electricity and communication services (wireless and/or through electric cables). Integration of electricity into the ICT sector shall form the ICET sector, for Information, Communication & Electricity Technologies. There is also another advantage of not using anymore the term Smart Grid: there will be no discussion anymore to know if a grid is dumb or smart. There are so many useless discussion about this. It is a shame to lose so much time in futile debates. Electricity and information will flow in the same cable everywhere, like it is already the case with USB cables for instance. Internet connection will be ubiquitous not only thanks to wireless technologies like Wi-Fi, but also via electric cables. When you will plug your laptop in the wall socket, it will not only get electricity to recharge, but also an internet connection. The owner of the socket will not charge you for internet, like he already doesn’t for charging your laptop. Today everybody has everywhere access to electricity (expect in poor region in developing countries). Tomorrow everybody will have everywhere access to internet (I hope even in poor region). I then propose that we all use the new acronym ICET instead of Smart Grid. If you like the proposal, then do it. Don’t say anymore Smart Grid. And tell you colleagues and friends to do so. If you disagree. Please explain us why. Feel free to comment. Thank you all in advance for your active contribution to the debate. Three months after the installation of Mainova’s smart meter at home, the rise of my electricity bill is definitively confirmed. 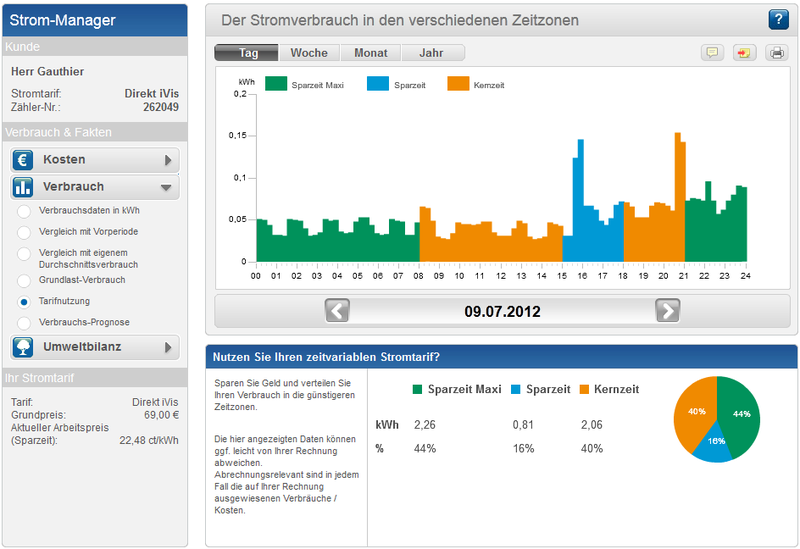 Extrapolated on one year, the smart meter increases my bill by 31.5 €/year. As explained in a previous post, the main advantage is to be able to monitor the consumption of my family. If I want my money back, the only option is to modify our consumption behavior. We have to shift a part of our consumption from costly slots to cheaper ones. Before I start bothering my family with changes regarding our consumption behaviour, it seems astute to carry out an analysis. Thanks to the monitoring, I can retrieve enough data to make likely calculations. The following graphic illustrates how peak consumptions may be shifted in order to reach for maximum savings. The black horizontal line represents my household’s minimum base consumption, or base load, (fridge, heater, appliances on standby, etc. ), that can be neither reduced nor shifted. 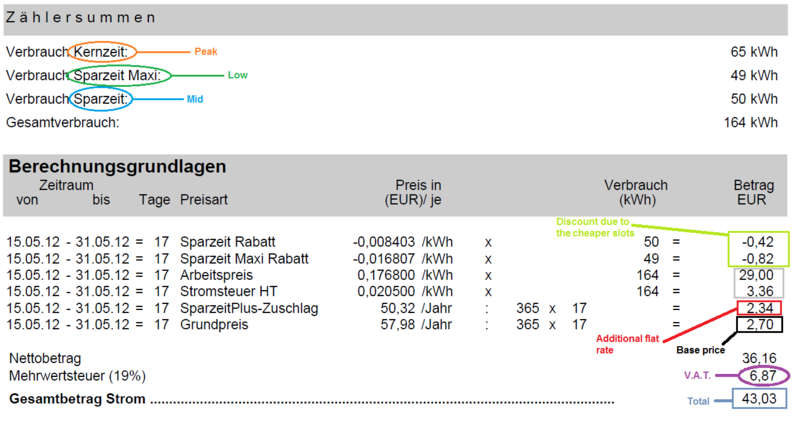 Considering all the peaks above the base load since my smart meter is installed, the savings would reach about 14.4 €/year, which doesn’t compensate for the additional monthly charges for the use of the smart meter (50.32 €/year). The tariff difference between off-peak and peak periods is too small (8.5% discount). As a conclusion, it is not necessary to bother my family for a few euros a month. Unfortunately I was right about the fact that installing a Mainova smart meter is not profitable. It doesn’t mean you shouldn’t accept a smart meter in your home. It depends on the tariffs proposed by your utility and on your consumption behaviour. 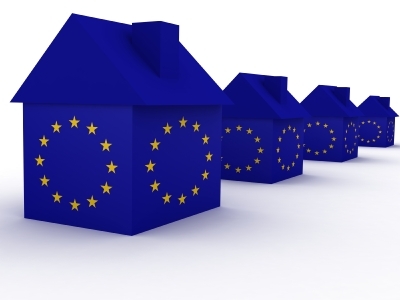 The political circumstances are such that sooner or later, you will have to make that change (see the EU recommendations on smart metering systems and the EU directive for electricity, Annex I-2). I hope at least that through this article, you will take good care at checking the tariff conditions. Concerning consumption behaviour, it is obvious that my family is not a standard household. As a professional in energy efficiency, I am aware of available technologies and good habits to limit our consumption as much as possible. I don’t need a smart meter to monitor our consumption to know what to do to be a model family in energy efficiency. My kids turn off the light when leaving a room. Simple, but efficient. I’ve installed LED. Also efficient, but expensive. If it is not your case, a smart meter could help you to identify savings you could implement. You could show to your children the consequence of not acting like energy efficiency recommends. You could analyse your consumption measurement and make a small analysis to estimate potential savings, to select the best tariffs scheme that is proposed by the utilities in your region, etc. Be smarter than your utility. In a previous post, I wrote I doubted that smart meter is a good investment for a private consumer. Now, I will prove it! Many remain sceptical in front of theoretical arguments, even when based on figures, experience, knowledge and deep analysis. They need to see it, to believe it. I will then show them. To do so, I’ve recently acquired a smart meter. If my analysis is correct, my electricity bill shall increase. But I am ready to sacrifice a few euros a month on the altar of truth. So on the one hand, the monthly charges increase by 87%. On the other hand, there is a 4% and 9% discount on kWh tariffs in the Mid and the Low slots respectively. The device provided by Mainova is from Landis&Gyr, reference E350 ZMF120. The linked communication module is an E35C which is based on the mobile data service GPRS/GSM. As my genuine consumption can be retrieved, there is supporting evidence that I would like to share with you. Let’s do it. Here is an excerpt of my bill from May 15th to May 31st 2012, the first 17 days since the smart meter was implemented. I would have paid 41.72€ with my former rate, which means I have lost 1.31€, in only 17 days. Considering the full period until today, I have calculated that I have already lost 4.21€, i.e. about 25-30€/year. The kWh tariff discount is too low to compensate the additional flat rate for renting the smart meter. Benefits ! Where are you ? In fact I don’t control my bill at all, the only thing I can do is watching online (with a delay of two hours) how much I consumed. Sure it is possible to save money, but not especially thanks to the smart meter. I don’t need a tool to determine when to shift some of my Peak or Mid consumption to cheaper time slots, provided that I am capable to identify which appliance(s) caused the consumption in the Peak or Mid time slots. The smart meter itself is just a meter with a digital screen. The functions are in fact the ones proposed by the internet user interface. They are (for the moment) not that sophisticated. I hope Mainova will develop its tool. I had the opportunity to see the one of Yello Strom. This one is good. Once again, the smart meter doesn’t optimize your consumption, it just makes it more visible, so that you can optimize it, if you have time. We can see that the direct benefits for the end consumers are limited. Main advantage is to be able to monitor his consumption. Thanks to smart meter, customers have the opportunity to pay more for the same service. The smart meter is an initial cost wich doesn’t seem obvious to recapture, except if one is ready for drastic change in his consumption behavior. Now that I have one at home, I will carry through experiments to find a way how smart meter can be profitable, if possible. I will keep you informed in upcoming posts. replace the existing meter (analog or digital); it does not meter total household consumption and measures cannot be used for invoices. Functionally it is a domotic installation. But its use is smart grid and energy efficiency oriented. As it smartly meters consumer’s consumption, it deserves the title. Electrabel is the historical utilities in Belgium, now part of the french holding GDF Suez. 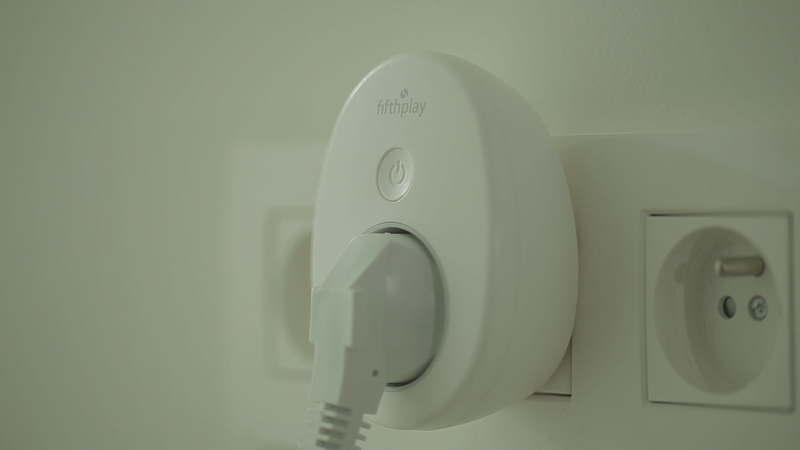 Fifthplay is a tech co fully owned by Niko Group, a Belgian holding owned by the family De Backer. The original company Niko founded in 1919 and led today by the third generation is specialized in domotic solutions. The design is nice and actual. Inspired by Apple? Anyway, it’s a good reference. A web application (for computer, tablet and smartphone). This video clearly explains the concept, in French, sorry. Or check this one, in Flemish, if you prefer. Some info in English can be found here. More videos in French and Flemish here. Receive a warning via sms or e-mail in case of a sudden, unforeseen change in consumption. Nice new tech, isn’t it? Now let’s look at economics of energy efficiency devices: investment and savings. Investments. 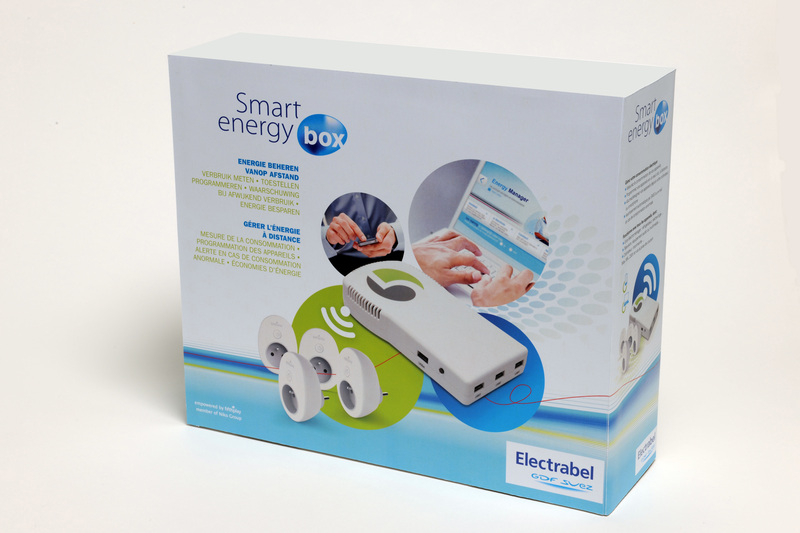 Electrabel is offering the Smart Energy Box at €139. Throughout the launch month of March 2012, customers will benefit from an introductory discount of €30. Add €3.50 for monthly subscription, i.e. €42 per year. Given a 3 years amortization of the initial capital investment, with the discount, and an average tariff of €0.18, one should save 435 kWh per year to cover the investment, plus the own consumption of the system, i.e. 10 to 20% of the yearly consumption of a benchmark family in Belgium. That’s quite a lot. Savings. Marketers pretend that thanks to the tool end consumer can control and manage his own energy consumption. We all already do it without tools: we switch on and off when needed. 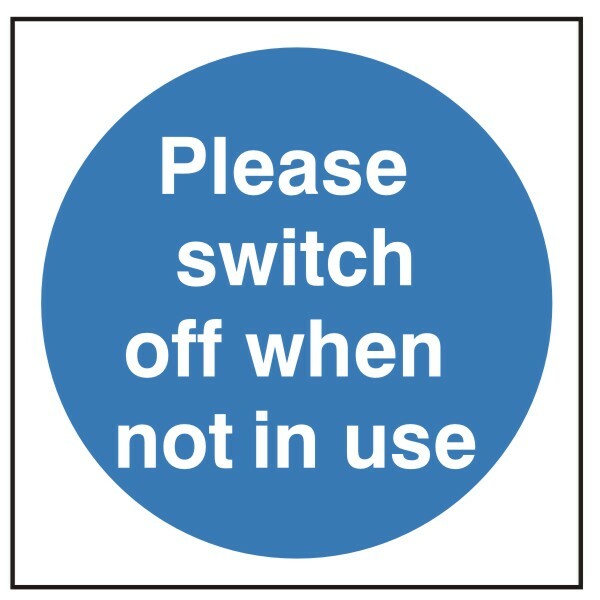 One should neither be a genius nor being advised by a computer to know that consumption is reduced by switching off the light in an unoccupied room. I have no idea neither how much savings one can achieve thanks to the new tool, nor how to estimate them. do you? But I can tell it is peanut compared to the investment. The tools look great and functionalities are attractive. But fifthplay is not alone on the market. For instance Ijenko is proposing a similar solution, even broader as it includes also heating systems and security (smoke, motion and doors/windows opening/closing detectors). Fifthplay’s long-term agreement with Electrabel is of course a good move to secure a big share of the Belgian market, to gather experience and a strong reference. But the international market is open and moving. Necessary technologies are not new and competitors would encounter no issue to develop similar devices. it will be a tough competitive market. Not to mention there are cheaper solutions that can help you to optimize your electricity consumption (but without internet remote control): standby savers combined with power consumption data loggers offer a cheaper solution, without monthly subscription. Many similar solutions will shortly appear on the market (this prediction is an easy one: it is already the case). Marketers will pretend this is the new tool you need, that you will save money on your consumption bill. Journalists will be enthusiastic. Few people like me will explain that it is too expensive and it doesn’t worth the investment. We will be criticized, for sure. Here, I hope. I would like to read your opinion. Do not hesitate to comment. But at the end, it will end like smart meters today: far away from the foreseen success. Not so many end consumers will acquire the system. Enough to officially mention it is not a failure, but not enough to revolutionize the way we live. Criticisms will be voiced. For instance, that it inundates our house with even more wireless com, raising real or fanciful health issues. Until then, first movers companies will gain enough earning not to lose everything (pioneer advantage). Some will even make good money. But followers will lose, except the cheapest ones who will supply the tail of the life-cycle pattern (Growth-Slump-Maturity Pattern, see for instance chapter 14 of the book Marketing Management).